From New York Times–bestselling author Lisa Lutz and David Hayward comes a hilarious and original tag-team novel that reads like Weeds meets Adaptation. "A complete delight! 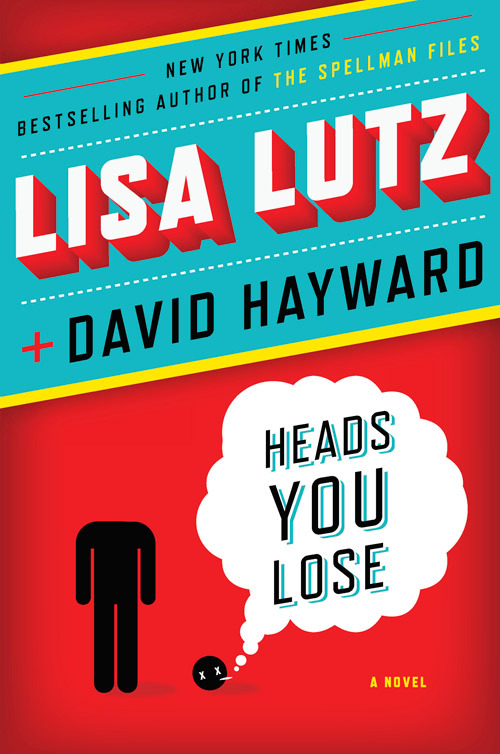 Sure, Heads You Lose is a snappy, stylish crime novel, but it's much more: a clever, often hilarious and insightful look at how these wonderful things we call books actually get created. It's a toss-up (sorry, I couldn't resist) to say which of the main characters are my favorites: fictional protagonists Lacey and Paul, or authors Lisa and David." Meet Paul and Lacey Hansen: orphaned, pot-growing, twentysomething siblings eking out a living in rural Northern California. When a headless corpse appears on their property, they can’t exactly dial 911, so they move the body and wait for the police to find it. Instead, the corpse reappears, a few days riper ... and an amateur sleuth is born. Make that two. But that’s only half of the story. When collaborators Lutz and Hayward—former romantic partners—start to disagree about how the story should unfold, the body count rises, victims and suspects alike develop surprising characteristics (meet Brandy Chester, the stripper with the Mensa IQ), and sibling rivalry reaches homicidal intensity. Will the authors solve the mystery without killing each other first?